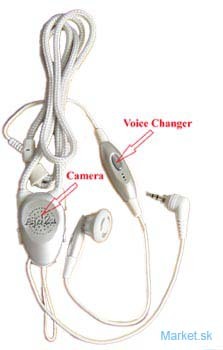 This camera is a hidden inside a cell Phone hands free / ear phone , use it as a normal earphone to listen your music or use it as a cell phone hands free, it is color CMOS Sensor camera with sound , Were it on your neck as normal ear phone and record everything wirelessly, Comes with 400mw transmitter and a 12 channel receiver. 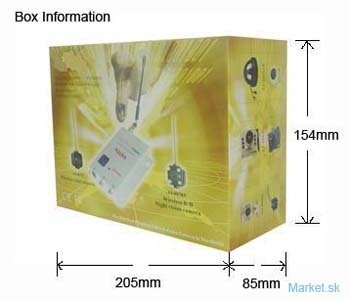 two power supply, av cable, etc in a nice retail box. great new item for the market. Maximum range is 4000 feet in the open area.